Bring in the Holidays at our Annual MBA Holiday Mixer! Join Us For Our Annual Holiday Mixer! 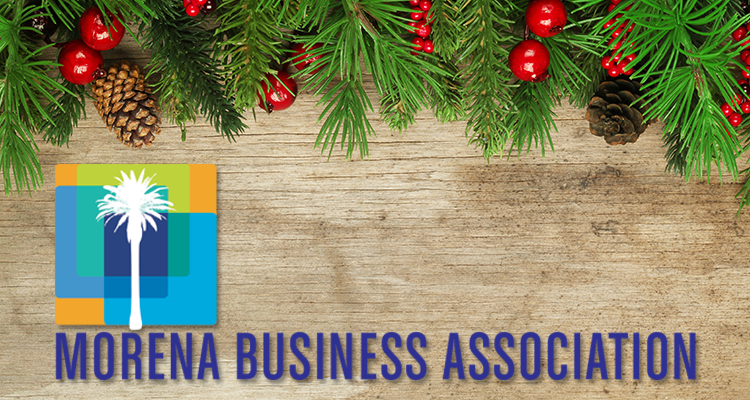 Bring in the holiday with your community at the Annual Morena Business Association Holiday Mixer Wednesday, December 20th. There will be Food, Drinks, Music & Door Prizes! WHEN: Wednesday, December 20th, 5:30 to 7:30pm. You can park in the parking lot at the corner of Napier and Morena in front of Masons Garage as well as any available street parking. JOIN US... for the Martin Luther King, Jr. Parade!